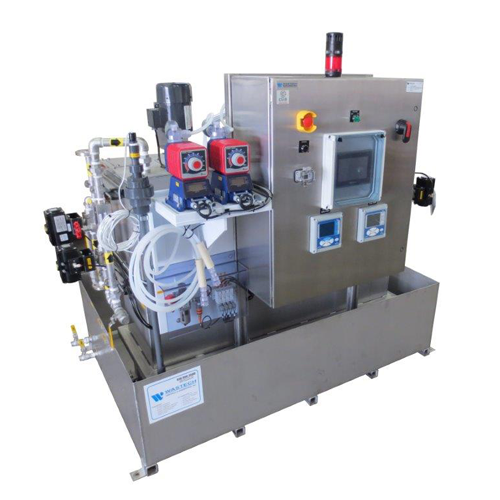 The LabDELTA® Plus is a skid-mounted pH adjustment system for neutralizing small-volume laboratory process wastewater and is designed for continuous flows up to 3 gpm. This continuous system incorporates two active treatment stages along with effluent pH monitoring to ensure that the treated wastewater will be safe to discharge to the public sewer line. Compact enough to be located anywhere inside a laboratory; LabDELTA® skid design may incorporate a Wastech pump lift station with collection tanks and pumps and be located near floor drains for gravity discharge into the sewer. 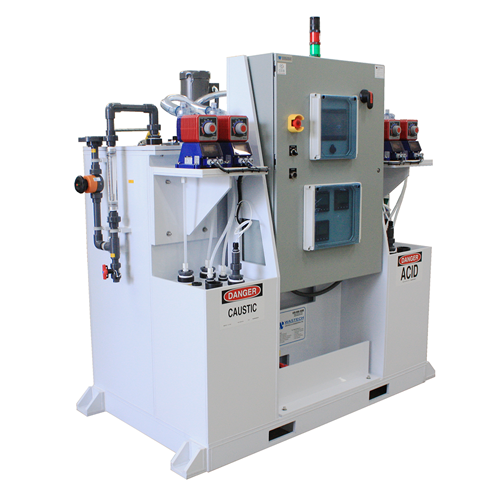 The skid can also be configured and custom designed for installation under counters or inside cabinets. Control panels are normally mounted on the units, but can be remotely located anywhere in the lab. 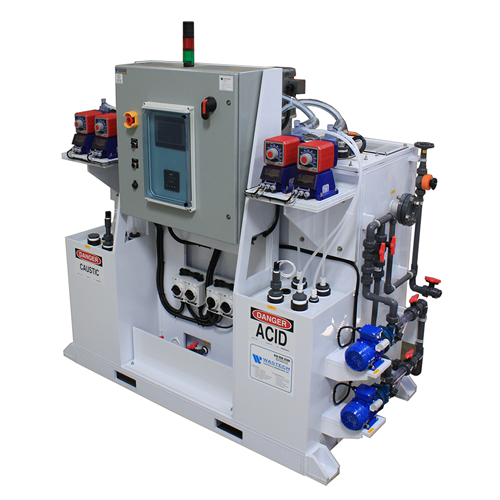 The most common application for a Wastech LabDELTA® system is acid/caustic waste neutralization, but virtually any process waste can be treated, including concentrated acid or concentrated caustic. The LabDELTA® product line from Wastech will adjust pH properly and eliminate any risk or accidents to lab personnel associated with exothermic reactions, spills and burns.